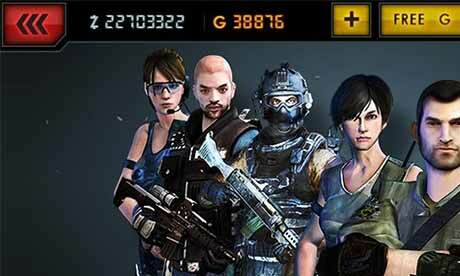 The most realistic anti-terrorist FPS game returns on Android! Every day, in every corner of the world, terrorist organizations spread chaos and destruction. But a new threat looms large on the horizon. Once disparate groups have banded together under the banner of the A.I.M. With numbers far greater than any other group, the A.I.M is hell bent on wreaking havoc and spreading their message of hate. Now, they have arrived and set up their base in our once peaceful city. Large areas have already been devastated and only SWAT can stop them reducing the rest to rubble. It’s time to stand up and fight. It’s time to destroy them! A huge array of weapons and equipment to use on the battlefield. 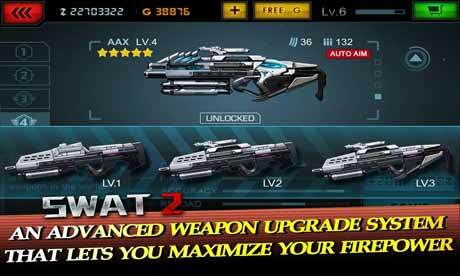 An advanced weapon upgrade system that lets you maximize your firepower. Realistic weather effects add new challenges to your missions. 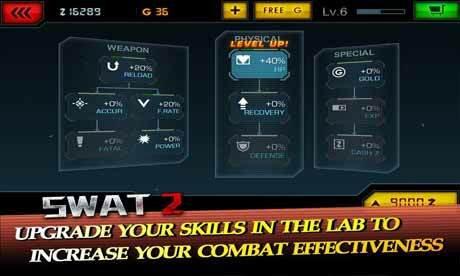 Upgrade your skills in the Lab to increase your combat effectiveness. New night battle mode. Use night vision to fight the enemy in the shadows. Intense battle scenes and challenging missions. Epic visual effects and music will take you to the frontline. An innovative companion system that allows you to recruit warriors to fight alongside you.